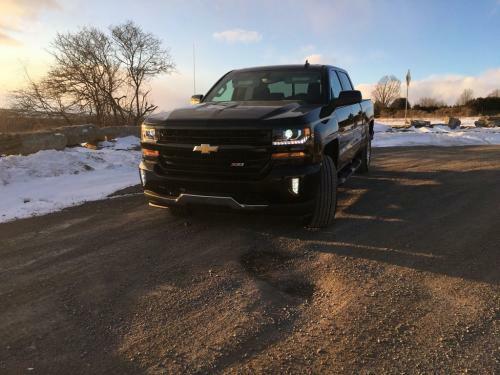 Might be different since I'm in Canada but i was told anything that is installed by the dealer when purchasing the truck or even after you've taken possession, is covered under the warranty of the truck. I say call the dealer and ask. with a rockford LOC, I can confirm that even with it set to lowest possible. the chime still gets amplified so when you start the truck the 4 chimes it does are really loud. The flasher doesn't though for some reason. Let's see those bass knobs! Here is where I installed mine. From what I read in the thread the airbag is different. But my guess is something else is different since gm has a different part number. What's the next mod we all want Phil Gamboa to figure out? If you use Waze on Android Auto it does have the speed limit on it. But same as the onboard NAV one, not 100% accurate but I'd say 98% accurate for it. How far can I go with the factory radio? Not much has changed as to how everything is hooked up. unfortunately if you want to keep the stock deck then you'll have to go with a LOC (line out converter) to add amps to it. you can try changing just the speakers to see if it ill make enough of a difference for you. For me, it still wasn't loud enough haha few ppl on here, including me, have put a small sub under the center console. Along with that, i upgraded the speakers and added an amp to them. there's a few threads on here about these. For my setup I was going with the RD500/1 and the MX500/4 but had to go with the RD400/4 due to the mx series going in over voltage when above 15v, which GM trucks do when starting.I have the C1 series speakers in the doors and an 8w3 under the center console.